When Salt Lake Community College student Samantha Page had to volunteer for a service learning project, it didn’t take long for her to decide to be a champion for women who lack access to feminine hygiene products. As part of her English 2010 class, under the direction of Liz Montague, Page was given a service learning assignment that asked her to reach out to the community. “I had recently read an article [about] Distributing Dignity that highlighted the struggles of homeless women who go without tampons, bras [and other items] and I thought it was really important,” Page says. As noted in the Huffington Post article, lack of feminine hygiene products is one of the greatest challenges faced by homeless women. Going without the necessities contributes to a greater problem of contracting and spreading disease, as well as leaving women feeling dirty and powerless. Page and a small group of other women were put together and shared a desire to help females in Salt Lake who may be suffering. “We wanted to go above and beyond just volunteering, so we decided to put together this event,” Page says. 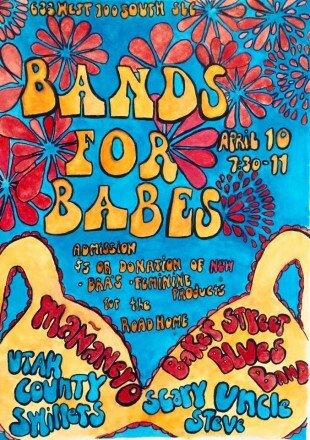 The Bands for Babes concert featured local bands Baker Street Blues, Utah County Swillers, Mananero and Scary Uncle Steve at an outdoor garden venue. “We chose bands that will be fun and enjoyable for everyone,” Page adds. Instead of charging a cover fee, attendees were asked to bring tampons or new bras to be donated to the Road Home Women’s Shelter. 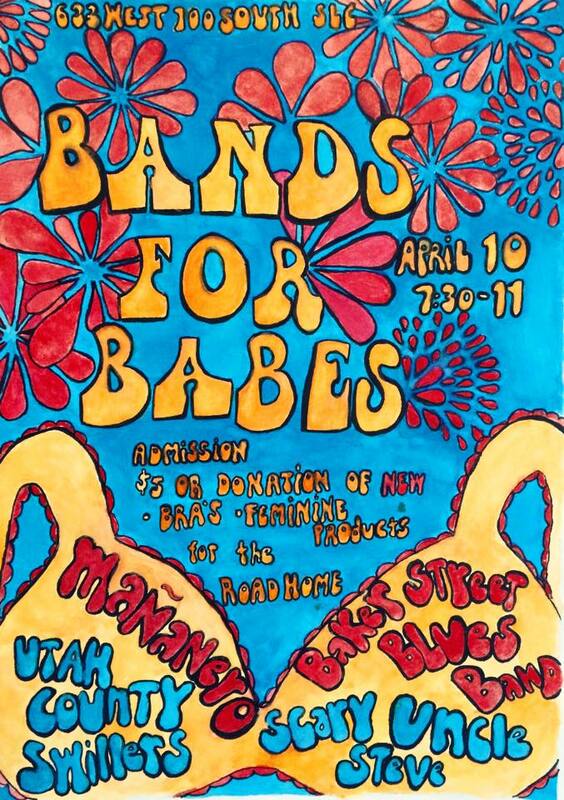 She and her group mates hoped that by hosting the event, Bands for Babes, they could keep a conversation about the topic of homeless women’s health open and continue to raise awareness. “We care about anatomical literacy and providing information to all women about how to care for themselves safely and effectively,” Page explains. The response Page and her classmates received surpassed all of their expectations, as they raised over $900 for the Road Home on top of a large number of new bras, tampons and pads. The sum of money is sure to keep local women in need stocked up for quite some time. In addition to the impressive monetary success, Page and her team accomplished something equally as important: they found a charity that mattered to them and spread their message to many others in a real way.